As I visited our Etsy Cottage Style place today, I noticed many blogs about the freezing temperatures that most of our Members are experiencing. 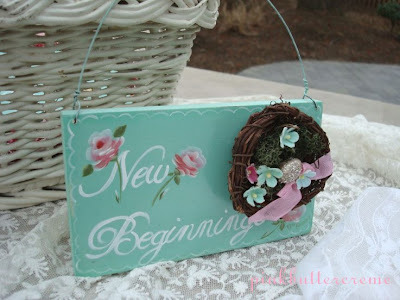 I also noticed that from the cold Jersey Shore to a not very sunny California, it seems like we are all ready to add some pastel colors to our decor, do some gardening and enjoy the warmth of the Spring Season. 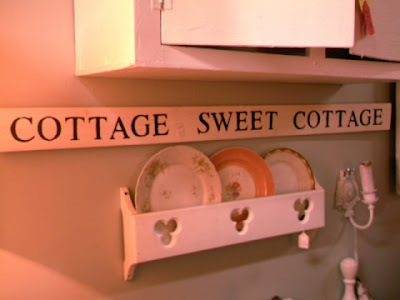 And what better way to achieve a "I'm ready for Spring" look that with the ultimate cottage accessory: a cute, inviting sign. Is someone you love moving away or starting a new adventure? This pretty thing could be a great gift! A little glitter makes this one my favorite! So even if your backyard is covered with snow and your nights are still spent around the fireplace, go ahead and visit Tami's Etsy, I bet you will love it! 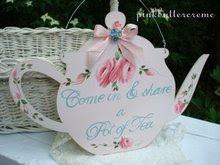 You can also pay her a blog visit at Pink Butter Creme, her photographs and sweet creations will put you, and your loved ones in a Warm Spring Mood... while you are there, don't miss the tea party she organized for Olivia's Third B-Day...too cute!!! These are all beautiful! 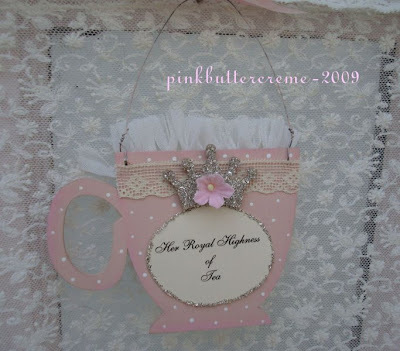 I love the butter creme colors!!! Thank you so much for featuring me today!! I'm feeling very special right now!! 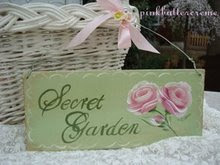 Tami's things are so sweet!!! Thanks for a peek of all the lovely things Tami has! I love the colors in the signs you found!! 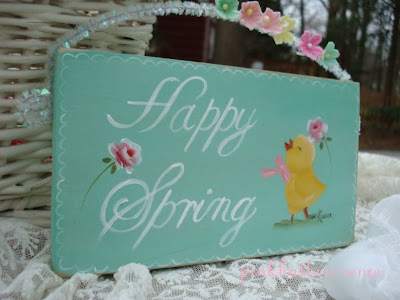 I love it all.. such great Spring colors. Wow they're so beautiful! I love it!